History: Tucked away in the small city of Willimantic, Connecticut is one of the oldest, most retro soda companies in the nation. Hosmer Mountain Soda began over 100 years ago in 1912 bottling their signature high-quality spring water. It’s hardly a surprise when you find out Willimantic was called “the land of swift moving waters” by the Native Americans that hunted in the rivers there. 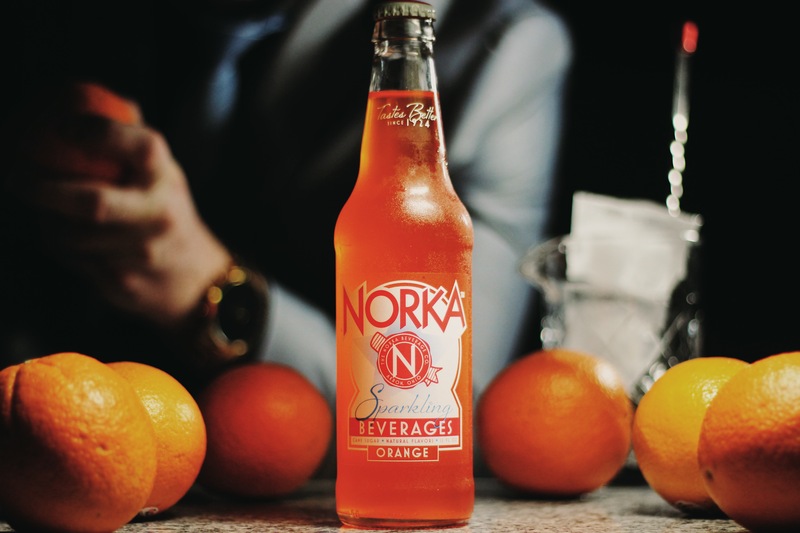 After the success of their spring water, the company decided years later to capitalize on their greatest local resource by using it to make a cleaner-tasting soda. Today the water comes “from a deep well.” Despite going through four different owners (the current owners purchased the business in 1958), Hosmer Mountain is still going strong, producing over 30 flavors of soda a year. The company says “all of our flavors are ‘retro,'” in the sense that they strive for a sweet, but authentic flavor as opposed to something that tastes artificial. Hosmer Mountain also makes a flavor-of-the-month that rotates out, something that indeed feels like a very vintage thing to do. Reminds me of how local pie companies rotate out a monthly flavor. Mmm, pie. Another retro thing Hosmer Mountain does for its local customers? Delivery. Now if we could just come up with a fiscally manageable way to do this with craft soda nationally, our staff would quickly become very poor. But very happy. However, one very non-vintage aspect of Hosmer Mountain Soda is that they say “High fructose corn sweetener is our primary sweetener.” This will hurt a lot of craft soda fans’ feelings. Luckily, they also produce an “antique line” of four flavors: root beer, cream soda, white birch beer, and sarsaparilla. All four of these flavors are made with pure cane sugar instead of high fructose corn syrup. The company believes these are the four flavors most representative of New England. Fun fact: the labels on the antique line flavors are a throw back to the company’s original soft drink logos from 1916. They add “You’re looking at the work of a pre-WWI graphic artist.” Neat, let’s put this “antique” cream soda in my mouth now. 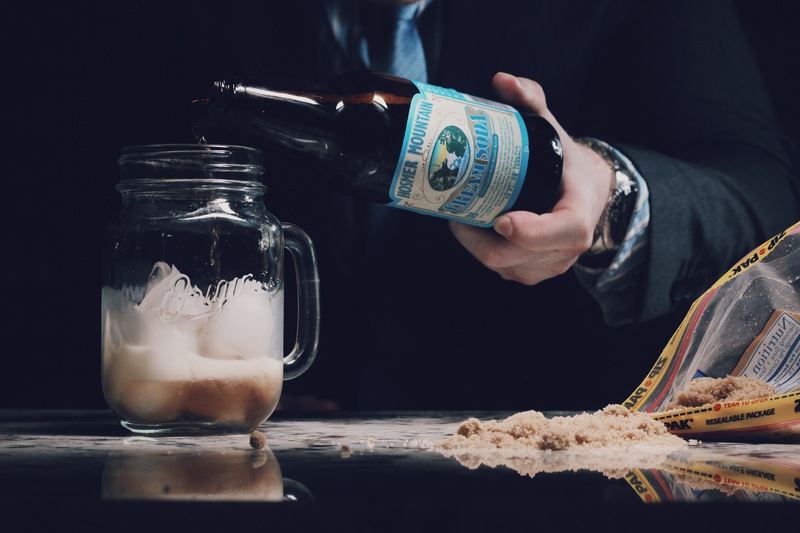 Where to get: Outside of Connecticut, Hosmer Mountain Cream Soda is available to purchase online from Summit City Soda. 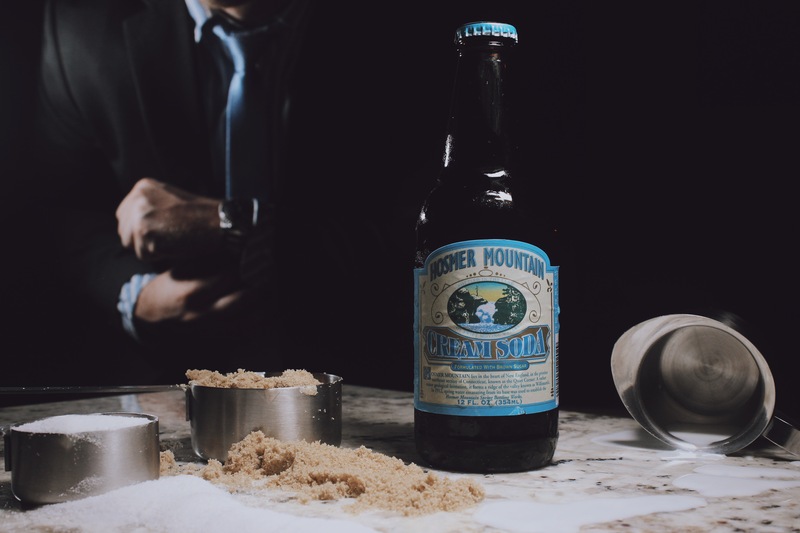 If you’re a business owner looking to sell Hosmer Mountain’s Cream Soda in your store or just someone looking for a large order, get in touch with Homer Soda Company and they’ll take care of you. Nose: Pretty standard cream soda with a little bit of toasted marshmallow. Taste: Sweet brown sugar; caramel; marshmallow. This is definitely sweet, but it’s a different type of sweetness because of the brown sugar. It imparts more of a caramel taste, which is usually more common in root beer or cola than cream soda. Not a creamy texture on the palate, but still has a thick mouth feel because of the brown sugar and carmel flavors. A little bit syrupy. You also get sort of like an earthy bittersweetness, ala roasted campfire marshmallow. But the biggest flavor you’ll take away from this is caramel, for sure. Finish: Sweet caramel and burned sugar. Gone almost as soon as it appears. No linger. Rating: Hosmer Mountain Cream Soda is a unique one in that it’s not rich and creamy, nor does it taste like bubblegum. It splits between those two common cream soda flavor profiles. It’s also unusual in that it uses brown sugar. The brown sugar really gives it a different flavor, full of big waves of sweetness and mouthfuls of caramel. On certain sips it’s even a little bittersweet like a campfire marshmallow. The caramel flavor is nice. The problem is that it’s very sweet and when paired with the the brown sugar notes, it becomes overpowering at times. The slightly sweet marshmallow bite helps soften the blow, but not quite enough for us. I’d either up the bittersweet notes in the recipe or lessen the overall sugar content. Fans of caramel will instantly fall in love with this soda. Give it to Hosmer Mountain for doing something unique. I’d definitely recommend it because it is different from other cream sodas out there, but I probably wouldn’t buy a six-pack myself if I’m being honest. But hey, I’m just a dude that writes about soda on the Internet. What do I know? This definitely has good qualities too. The marshmallow undertones are really pleasant and do a great job contrasting against the soda’s powerful sweetness. The caramel flavor is a nice nuance in cream soda, a genre with lots of room for experimentation. Hosmer Mountain Cream Soda is a nice change of pace. The question is who will be able to keep up with it. History: I’m about to introduce you to some adult soda. But hey now. Keep your pants on, buddy. Not only is this soda designed for a more mature audience; it’s also soda with a bit of an attitude. In the words of Just Craft Soda founder John McEachern, a lot of sodas today “feel like they were designed for a 13 year-old boy.” Just Craft Soda is the first offering from Peak Drive Beverages. It debuted only months ago, earlier in 2015. Every bottle is made with 60% fruit juice. Oh, and guess what else? It’s from Toronto in Ontario, CANANDA, dontchaknow! We’ve been waiting to use that photo. Thanks, guys. The idea of Just Craft Soda had been brewing in McEachern’s head for two or three years. With past job experience at PepsiCo. and General Mills, McEachern wasn’t satisfied with the state of the soft drink industry. He wanted to provide flavor variety for the adult soda drinker. “Something that could pair with a meal or alcohol,” he adds. 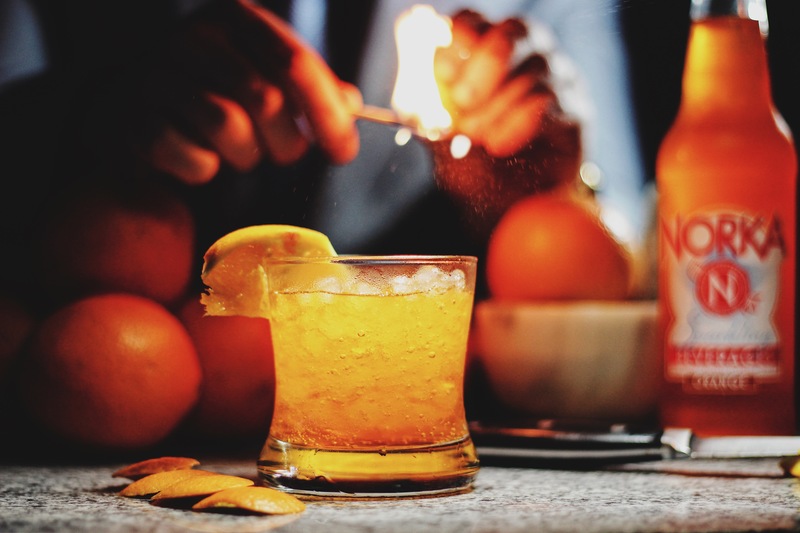 All Just Craft Sodas begin with a familiar, real fruit juice that is then paired with a spice designed to enhance it. Apple and Ginger is probably the most common of the five flavors the company produces as opposed to the more exotic Peach and Habanero. The 60% juice is a major sticking point for these sodas. “We wanted an amount of juice in there that didn’t just feel like a marketing pitch, ala ‘look, 5% juice!’” said McEachern. Aside from fresh juice, the only other ingredients in each bottle of Just Craft Soda are carbonated water, natural flavors and pure cane sugar. At the moment the business is small, but if they have their way, it won’t stay little for long. The company hopes to expand into a Canadian national brand and eventually make inroads into some of the U.S. market. 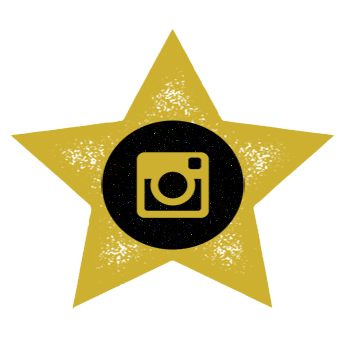 They’re hoping originality is what helps the company ascend. McEachern confidently concludes, “‘Wow, I haven’t tried that before,’ is what you’ll say.” We’re about to find out. 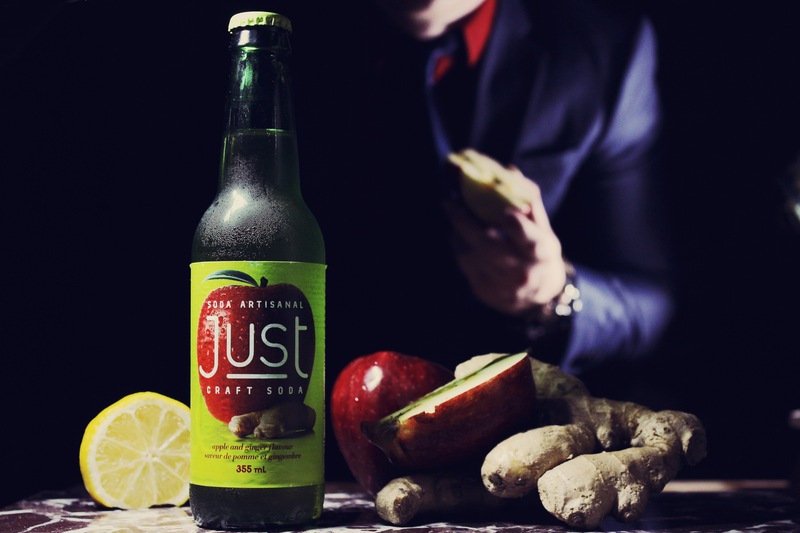 Where to get: Just Craft Soda is currently sold in about 50 stores and several restaurants in the Toronto area. There’s a handy link on their website to help you sort it all out. At the moment, Just Craft Soda is not sold online, though that possibility remains open down the line. Nose: Earthy ginger; apple juice. Taste: Tart ginger; light spice; apple; pepper. The flavors here are very balanced between mildly spicy ginger and tart apple juice. The tart elements are what stand out most. They accompany not just the apple, but the ginger as well. It helps mellow out the ginger, while allowing the apple to remain relevant in the flavor profile. The apple juice tastes authentic, though slightly acidic. The ginger sends some heat up the nostrils on the initial sip, but you’ll adjust quickly. This isn’t overly spicy like some ginger sodas, but the ginger does have a grittier flavor than what you’re probably used to drinking. Think peppery. But overall, this is easy drinking. Light and crisp. Finish: Tart apples that quickly fade into a mild, peppered ginger. 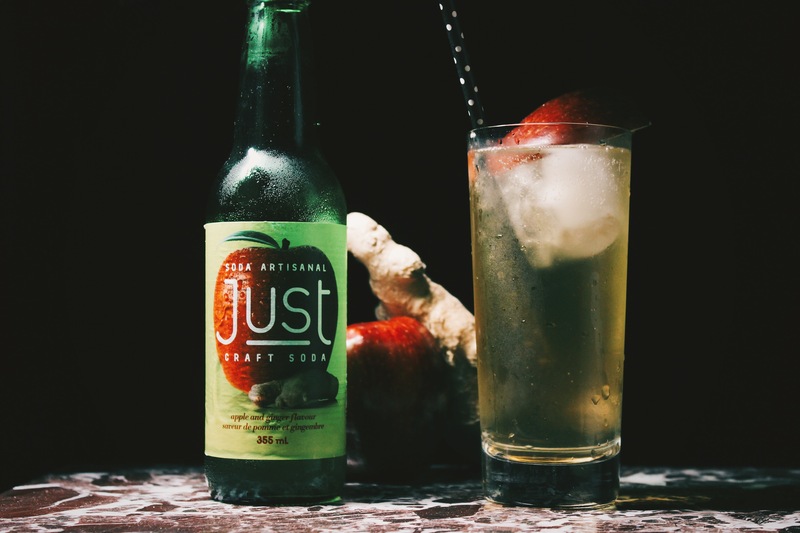 Rating: Ginger is often an overpowering element any time it’s used in soda, but Just Craft Soda does a nice job of balancing it out with tart apple in their Apple and Ginger Soda. It really contributes to the soda’s drinkability. The tartness of the apple also often permeates its way into the ginger elements in each sip. That might sound like a bad thing, but it actually adds to the soda’s complexity, giving it a unique flavor profile. I’d argue it’s the best element of the drink. You get more of an earthy zing than a heat with this ginger. It’s refreshing, both literally and figuratively. But there will be a sector that comes into this expecting a spicy apple soda, and that’s not what’s inside this bottle. The sugar is done well, but I think the apple notes might benefit from being just a little bit sweeter and bolder to give that tartness a little more variance across each drink. I wouldn’t change the citrusy bite too much though. Some things you just can’t compromise on, like my first marriage. Canada’s newest player in the world of craft soda has concocted a fresh juice-based soft drink without losing the mouth feel and flavor of soda. That alone is an accomplishment. They also make a really solid Apple and Ginger. If you’re looking for refreshment, this answers the call. History: Maine Root is a well-known craft soda brand. It’s nationally distributed, but despite its widespread availability, the company’s reputation is still darling. Sometimes the bigger a brand is, the harder the craft soda connoisseur will push back against it. Not so here. It still feels genuine. Maybe it’s because Maine Root is still a family business. Maybe it’s because they place a major emphasis on “organic” and “fair trade.” Or maybe people just love Maine. It is just kind of hanging out up there, all cutesy in the northeast. But it’s probably something you don’t see: the owners. Mark Seiler was working in a pizza place that sold a root beer he loved. Pepsi bought it out. Aw HELL NAH! 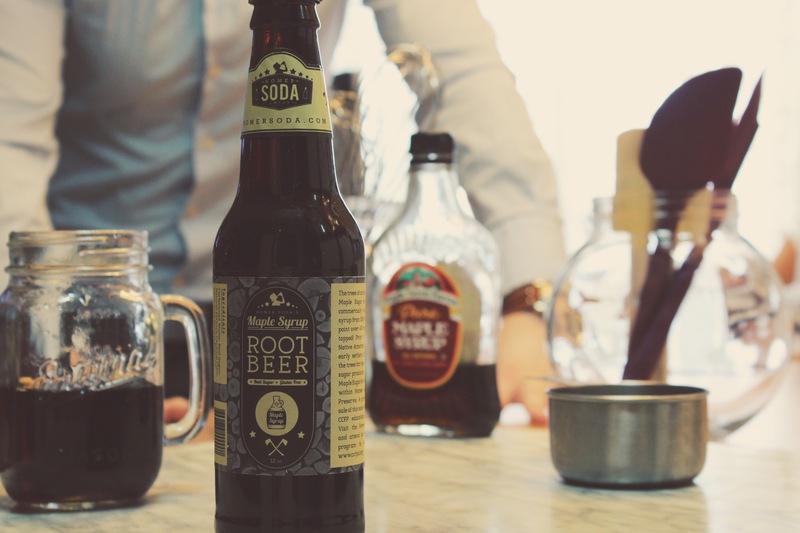 That led to Maine Root and the creation of its root beer by brothers Mark and Matt Seiler. Today’s review, Mexicane Cola, is the company’s newest regular soda and came out about three years ago due to customer demand. 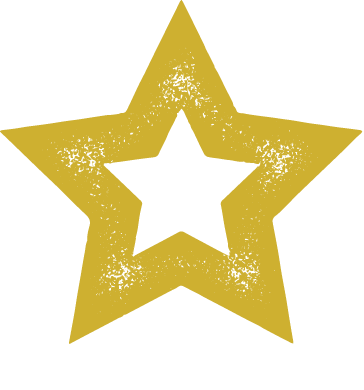 What the owners will repeatedly emphasize to you is that Maine Root is the first and only company to use fair trade, organic cane sugar juice. They source it from Paraguay. This is in contrast to cane sugar. It’s also “incredibly expensive,” according to Matt Seiler. Let’s drink it in. Where to get: Maine Root is a nationally distributed soda. You probably already knew about it. It can be found in well-known stores like Whole Foods and O’Naturals. And if you can’t find it in your city, order it online. Nose: Not much of a scent on this, but sugar is what hits the nose most. Taste: Cane sugar; soft kola nut; nutty; light cinnamon. Right away the kola nut is upfront. You’ll want to compare this to Mexican Coca Cola based on the name, but the two aren’t that similar in flavor. Coke is more bitter due to its use of high fructose corn syrup, while Mexicane Cola’s organic cane sugar juice gives it a sweeter, earthier taste. Maine Root keeps the spice in this a secret, but you can taste them swirling around after the kola nut wears off. Cinnamon is identifiable, but it’s very faint. The cane sugar flavor is constant throughout, which is the staple of a mexican cola. Definitely more a rustic flavor than most colas. The sugar permeates the mouth. It’s the soda’s defining trait, but at times it overpowers the spices. Finish: Cane sugar juice that trails off into spices. Rating: A new take on an old classic, Mexicane Cola is anchored by its use of fair trade cane sugar juice and secret spices. The cane sugar powers this soda from beginning to end. It’s a natural sweetness not found in many other sodas. The spices help mellow the intensity of the sugar’s flavor, but it still packs quite a punch. If you’re not a fan of sweeter sodas, then I’d keep looking for your dream cola. The use of kola nut in this soda plays nicely with the rest of the spices to help create a nuanced flavor profile. Unfortunately, the sugar limits the opportunity for more of those flavors to come through in the mouth. This is solid as is, but could really go to the next level without as much sweetness. Our suggestion? Try it on ice to help limit some of the sugar’s effect. If you see this in a coffee shop or grocery store, it’s worth a shot. It’s an adventurous take on a soda that’s often so dull, and the craft soda world needs more adventurers. History: Sometimes you choose the craft soda life and, well, sometimes it chooses you. Wait, are we in a Matthew McConaughey car commercial now? 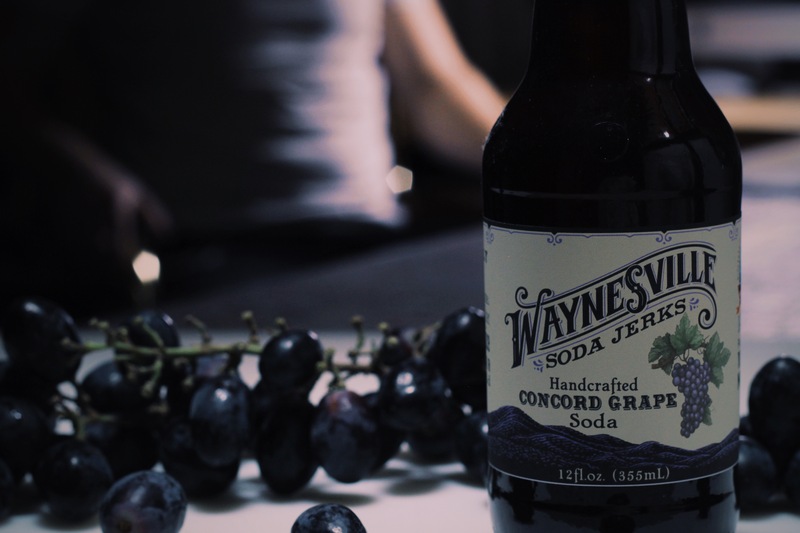 “We fell into it,” says Chris Allen, one of the co-owners of Waynesville Soda Jerks. Chris and his business partner, Megan Brown, always wanted to be self-employed. From Waynesville, North Carolina, they’re surrounded by a great local farmer’s market community. The soda idea slowly grew on them. Literally. Very tart wine berries grew outside their North Carolina home. Chris and Megan wanted to see if they could turn them into something flavorful. So they bought a Soda Stream. Eventually they graduated to more sophisticated flavors and took their stuff to the farmer’s market. That’s all it was intended to be. They just wanted to start an “adult lemonade stand,” said Chris. A few months later in April 2013, they launched a successful Kickstarter campaign. Here’s the crazy thing: they both still work part-time gigs at Frog’s Leap Public House. The two say they’ll be transitioning Waynesville Soda Jerks into a full-time business as 2015 progresses. Every flavor they make is based on local ingredient availability and the seasons. Some of their creations include fruit-based sodas like Strawberry Rhubarb pie and Blackberry Serrano pepper. But one they’re very proud of is a classic that slowly seems to be losing footing in the craft soda community: grape. Chris’s grandmother would make her own grape juice using concord grapes from the family property so the kids around the house would always have something to drink. Chris and Megan worked tirelessly to get the flavor just right. The result is the soda we’re reviewing here. Where to get: Currently, their sodas are hyper-local around the Waynesville, North Carolina area. The two say they’re working hard to get products approved for distribution. However, they don’t want to spread throughout stores and grocers nation-wide. “We’re not looking to be the next big boy in the soda business,” says Matt. The two feel it wouldn’t be genuine to their local business model. That said, they’re hoping to have their soda available for purchase online by April 2015. Custom orders are available in the short-term by calling (828) 278-8589. Taste: Wow. This tastes exactly like lightly carbonated Welch’s Grape Juice. It’s immaculate. It tastes fresh and authentic. No weird, metallic or artificial aftertaste like most grape sodas. This is a simple soda that doesn’t try to be more than it is, and that’s where it succeeds. It doesn’t have any hidden flavor notes. It tastes like grape, more specifically, real, carbonated grape juice. Don’t think sparkling grape juice. It’s not quite that carbonated. 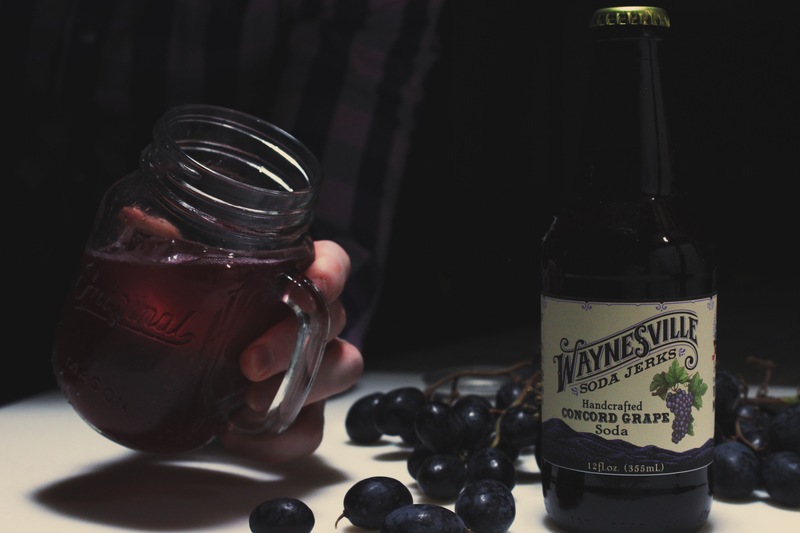 The light carbonation works just right and really lets the grape flavor shine. Finish: Refreshing; real grape juice; light bubbles that dance on the back of your tongue. 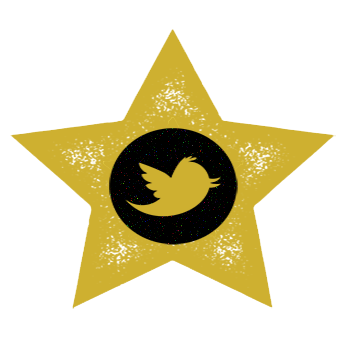 Rating: This is simple, yet brilliant. The flavor is everything grape soda should be. You’ve never had grape soda this fresh. This is the cute girl next door you weren’t sure whether or not had a boyfriend who you asked out and it was everything you imagined. You could drink this in groves. We definitely did. Go out of your way to get this. Bravo, Waynesville Soda Jerks. Literally, no complaints. We look forward to more flavors in the future. We have one bottle of this left. Not for long. 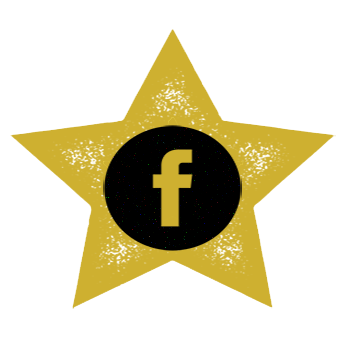 Where to get: Your best bet is to contact the company directly online. It’s also available in many RocketFizz retailers. Nose: Vanilla; cherry; faint cinnamon. Taste: Smooth; light vanilla; creamy nuttiness; faint cherries and cinnamon. 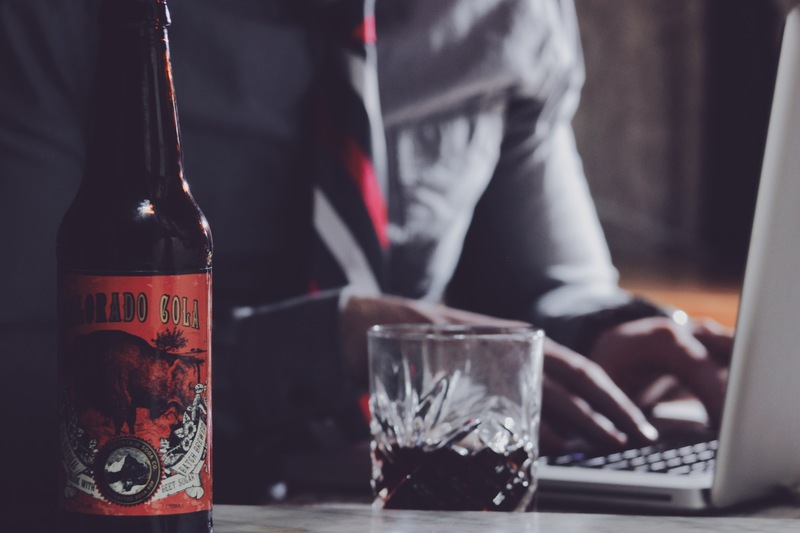 One of Rocky Mountain Soda’s starting points for their cola was an old classic: R.C. Cola. If you’ve never had it, R.C. Cola is an older-style cola that’s very soft on the palate. Rocky Mountain Soda took that concept and used it as a blueprint here. On the first sip, you’re greeted with a pleasant soft vanilla taste with subtle cherry nuances. If you weren’t looking for it, you might miss it. It’s very creamy for a cola, but not quite foamy like a cream soda. The smoothness is what’s most striking. There’s no bite or sharpness to this; very drinkable. Once you get past the initial vanilla-cherry taste, there’s a distinctive nutty flavor that still leans towards the vanilla side of things. Finish: Light cherry cola; cinnamon. The nuttiness you get in the body of this soda likely comes from Kola Nut, and once that fades, you’re left with a nice, soft cherry flavor. Not cherry as in Cherry Coke that punches you in the face like that dude in middle school did, but a lovely, vanilla cherry that you could watch Netflix with all night. A very faint cinnamon flavor also darts about until you take your next sip. Rating: This is cola done well. It’s simple and drinkable enough for the casual soda fan or child, but has enough nuances to make it intriguing for the craft soda connoisseur. If you gave me one word to describe this soda, it would be “pleasant.” It’s incredibly pleasant. You see my typing away on my laptop up there? That’s stressful businessman work. The Colorado Cola kept it real pleasant for me that night. Back to the flavors. The vanilla nuttiness combined with the subtle cherry and cinnamon notes really make this soda stand apart from other colas. Its smoothness lends itself to be guzzled quickly. Don’t. Please don’t. Enjoy it. And adults: maybe even throw some Whiskey in there if it’s a successful Friday night… or a rough Monday. Pro tip: this soda’s flavor profile is dramatically affected by ice. I strongly suggest you drink it chilled from the bottle. 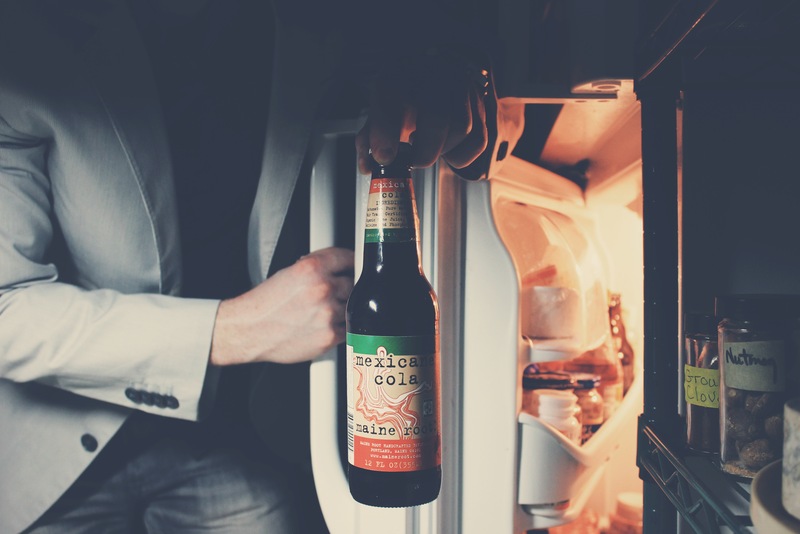 Now, up your cola game. Go find this. Go buy it. 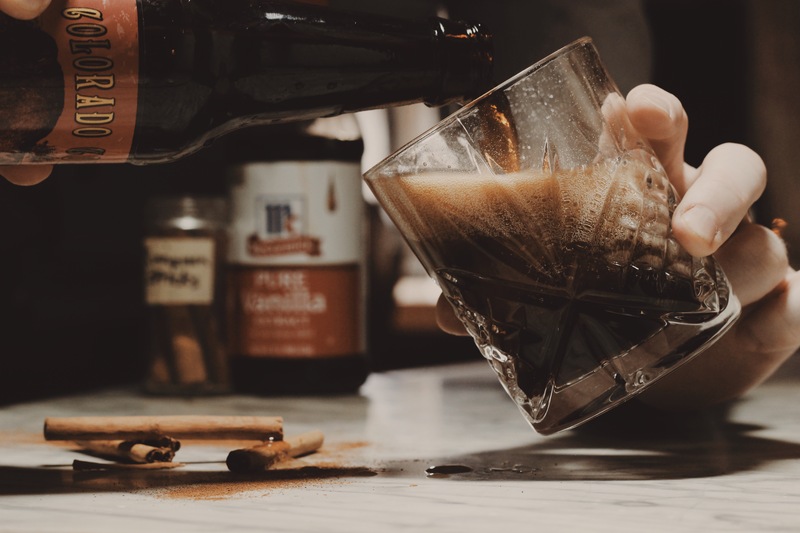 Where to get: The best way for you to find Homer Soda Company’s Maple Root Beer, among a boat load of other sodas, is to go online to their Web site where you can purchase it directly. It should also be available within a couple months on Amazon. Taste: Initially very sweet. Classic root beer bite that fades within seconds, giving way to sweet maple. Homer uses an all-natural maple extract in this baby and the flavor holds for several seconds before a sweet, caramel butterscotch flavor takes over and really coats the palate. If you swirl it around in your mouth, the root beer flavor lingers longer. Not much in the way of carbonation. This isn’t one of those foamy root beers you see in commercials. I’d say if this had more bubbles, the classic root beer notes would shine more as carbonation typically enhances flavors with a bite. 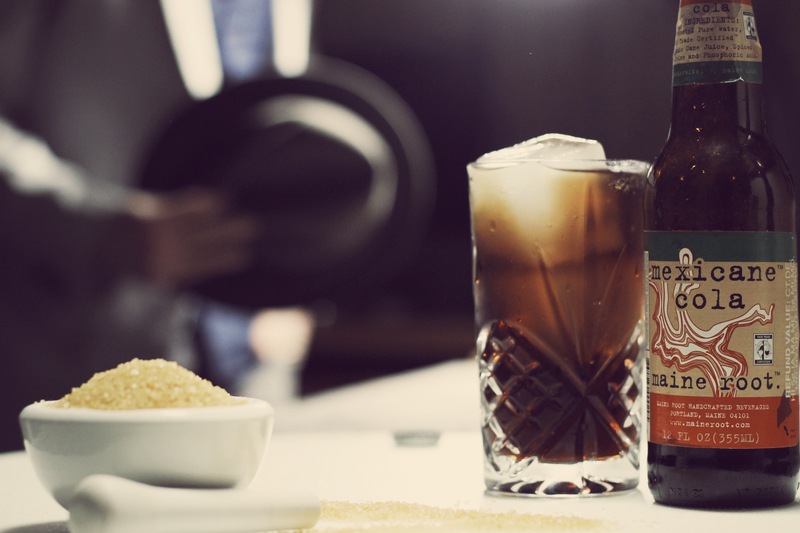 Finish: Butterscotch that morphs back into classic root beer. The more you drink, the more the root beer flavor eventually comes through, but butterscotch really seems to dominate the overall flavor profile and finish. 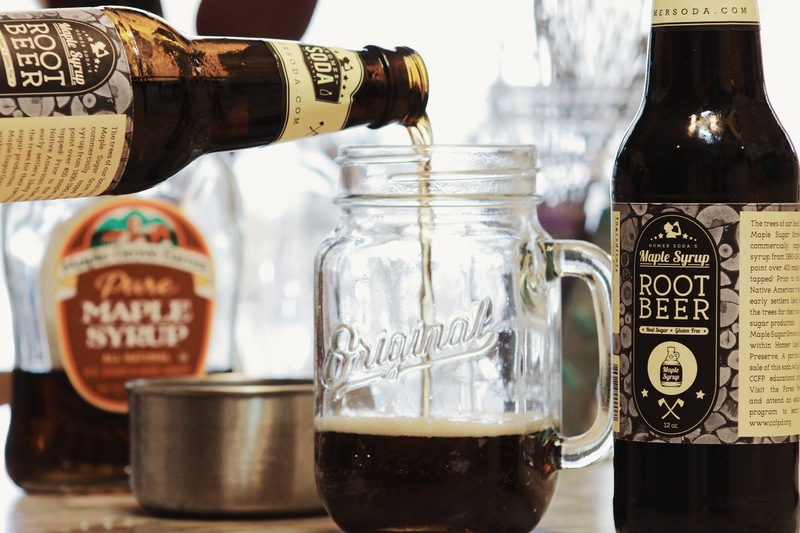 Rating: If you enjoy sweeter root beers, this is probably up your alley. If you’re into more of an earthy, sarsaparilla sort of thing, this will probably overwhelm you. A little too syrupy for me without enough of a crisp, bite. More butterscotch than maple in my opinion. Kids and root beer enthusiasts are likely to be more receptive to its flavors. Here’s the deal: I would have a one-night stand with this and then call it back four months later when I wanted to feel young again. Tip: Mix this with a mid-tier bourbon and pour over ice cream for a sweet, spicy treat.